Studying in the course of your choice means you might have to use additional funds. In other words, you might need some form of financial aid if you are going to further your studies either locally in Singapore or otherwise. What does Education Funding means? A sponsorship is given to the student who due to a financial situation is unable to support his own education independently. This is usually provided for the student in various education levels which mean it could be in primary, secondary and tertiary education. There are in fact, many agencies and organizations that offer to sponsor students’ education and this is usually done through the sponsoring agency that finds potential donors who can help. Among the earliest instances is the Children International sponsorship charity which has been around since 1936. The idea behind sponsoring a student is to help children regardless of their background given a fair opportunity to education and to help break the cycle of poverty. In fact, this will give them the fair chance to become self-dependent individuals as they come from a broken or low-income family. In doing so, they can develop as an individual to help not only in education but later in life as well. How this works is that, the sponsoring agency will first filter the names of students through reading their profiles. Then, the shortlisted ones will be sent to the sponsors. The agency will then be responsible to manage the funds between the sponsor and the student and to moderate any form of communication between the giver and the receiver. This however, differs among the different organizations because some are community based while some do not handle the funds. In many cases, the sponsors will channel the funds directly to the school involved. Another financial aid for education comes in the form of scholarships. The good thing about scholarships is that they usually do not require the student to pay back. Most scholarships are merit-based and there are actually several types available. As scholarships are mostly based on merit, it will have something to do with the performance of the student. This would usually involve their academic performance while other factors will be taken into consideration as well such as artistic and athletic performances. When a student performs exemplary in the studies, the scholarship will be awarded accordingly. This could be in cash form or it could be paid directly to the institution of the student who has enrolled for. Another type of scholarship besides merit-based ones is known as need-based scholarships. This is the type of scholarships awarded to students who provide such aid based on the financial status of the family of the student. In other words, it is aimed to help out for students facing hardships financially. However, it must be noted that there will be some form of performance-based evaluation as well which means the student must have some form of achievement academically before the scholarship can be awarded. In Singapore, some types of scholarships involve association to a certain group. This could be based on the religion, race or community where the student comes from. Among the common examples of this type of scholarship is known as the Gates Millennium Scholar Program. Where can you find such scholarships? 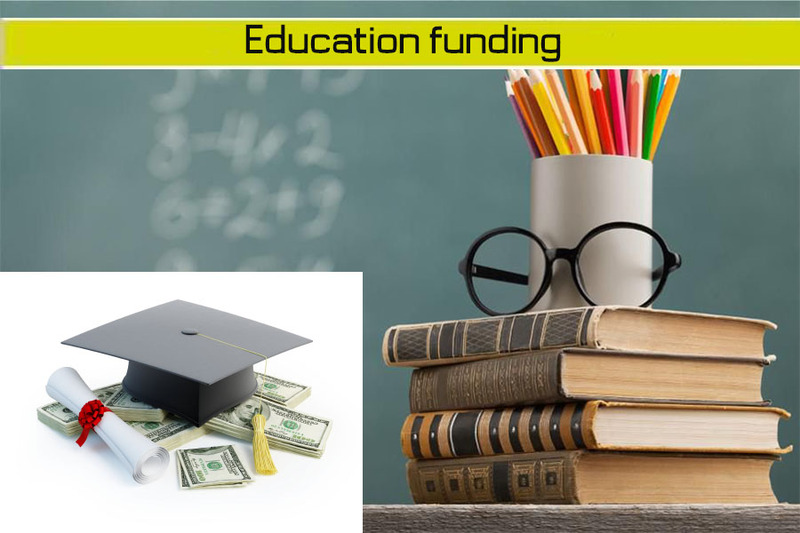 Education loans are among the most popular forms of funding for education as they are straightforward and simple. The process is like applying for any other types of loan from the bank in which you need to prove your eligibility and your ability to pay back the loan, submit the documents and you are ready to go. In Singapore however, education loans are quite different as compared to other types of loans simply because they are catered for students. When you apply for an education loan, you enjoy lower interest and a more flexible repayment method. When a student takes up an education loan, the main concern is when will he be able to pay back. This is because once the loan is given, it will take a few years before the student can repay because he has to undergo the course which means he has no way or repaying yet. As such, repayment will only occur later based on trust or some form of collateral.